In fact, we all know that greeter enthusiasm comes and goes in waves. You build them up, but after a few months, the system gets disorganized and lazy again. Greeters stop showing up and they forget the importance of their role in the church hospitality system. You loose track of who are greeters in your church. Every church wants their guests to return, and not be driven away by church greeters who say embarrassing things. How your guests experience your greeters is one of the central influences in their decision to return to your church. Yet depending on what study you read, up to 70% – 90% of those visitors don’t come back for a second visit. Training your church greeters is one area that you can focus on to lower that number for your congregation and improve the rate at which visitors to return. Your church greeter ministry is one central point for volunteer training in your church hospitality training, if you want more of your first time church visitors to return. Yes, you can HAVE access all these church greeter training videos I put on a special website for free. Why do you receive this videos over 30 days? When I had set the calendar to relase all 10 were released in 10 days, the common complaint was it was too much information all at once. With an every 3rd day role out, the pacing allows you to reflect and react to bite-size portions. You’ll be able to better impact your greeter ministry over time, rather than feeling overwhelmed at once. How many church greeting teams or church greeters do you need for church? 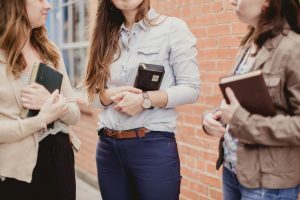 If you’d prefer to get started with the free articles on church greeters, this page is designed to get you up and running towards the basics of improving your greeter ministry of hospitality at your church. Celebrate the visitors who are coming back. How welcome ministries make that possible. Share some practical tips and skills to help your greeters grow. Church Greeters 101 in Paperback and available in Kindle format.